I've recently become obsessed with vintage photo slides from the 1950s and 1960s. You can find some beautifully clear images with vibrant colors. 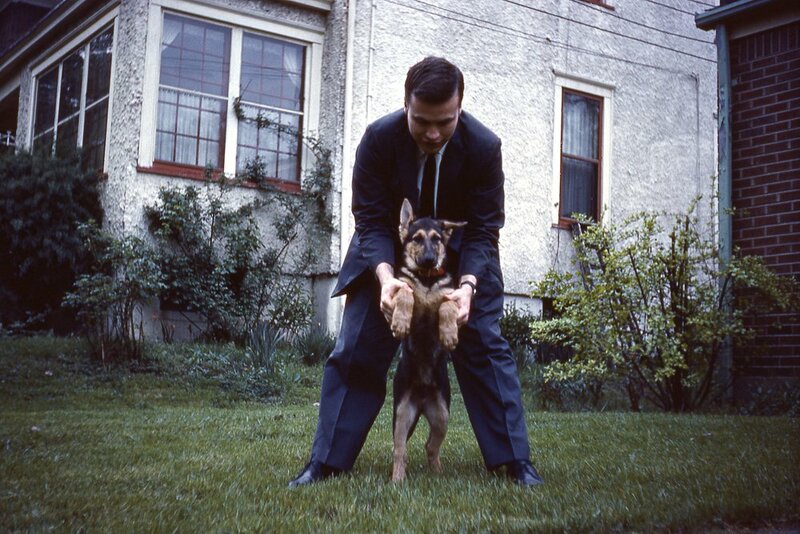 I particularly enjoy this delightful Kodachrome image of a man and his dog. The box that it came in was labeled 1962. American singer and songwriter Paul Simon sang a little ditty about this amazing photography format.